Iran has also criticised what it described as Trump’s “illegal” and “unacceptable” remarks on the Golan Heights. 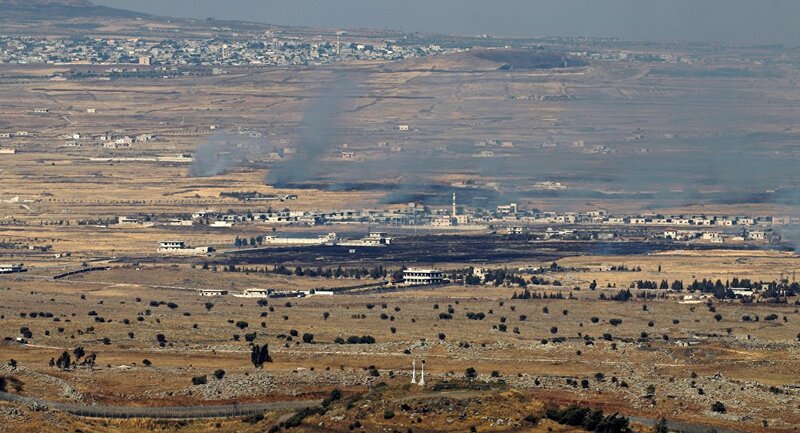 Russian Foreign Ministry spokeswoman Maria Zakharova stated that Moscow’s position on the matter remains unchanged and that “changing the status of the Golan Heights by bypassing the Security Council is a direct violation of UN decisions”. Israeli Prime Minister Benjamin Netanyahu, for his part, thanked Trump for “boldly” recognising Israeli sovereignty over the Golan Heights "at a time when Iran seeks to use Syria as a platform to destroy Israel". US Secretary of State Mike Pompeo, in turn, claimed during his visit to Jerusalem on Thursday that President Trump had been sent by God to Earth in order to save Israel. The remarks followed US Senator Lindsey Graham telling Netanyahu earlier this month that he will push for Washington to formally recognise the Golan Heights as part of Israel. A strategic area covering some 1,200 square kilometres, the Golan Heights were occupied by Israel during the 1967 Six-Day War. Netanyahu has repeatedly underlined that the Jewish state would not meet Syria's demands that it retreat to the 1967 lines because they were “indefensible”, and that the Golan Heights would “remain in the hands of Israel forever”.